What are the next game-changers in media? 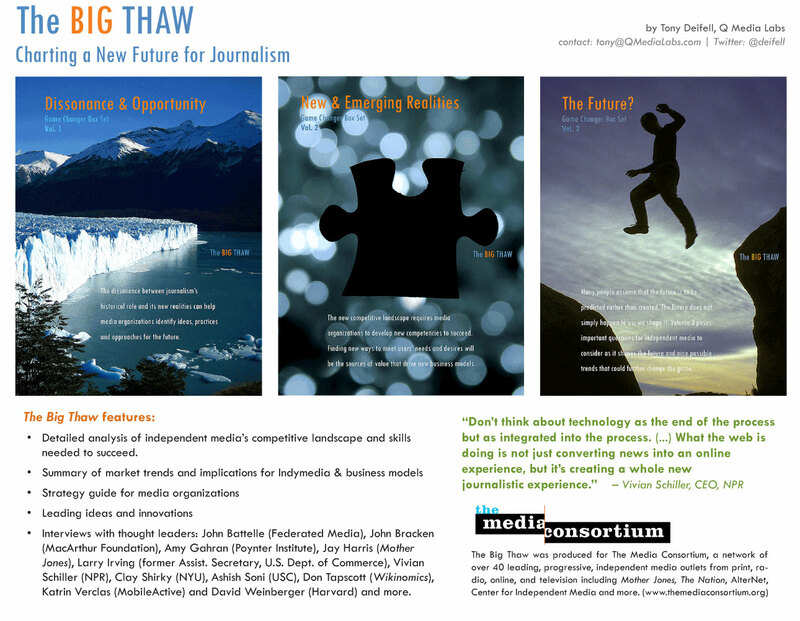 The Big Thaw is a major new study about how organizations will succeed in the new media landscape. a group of 45 leading independent media organization such as Mother Jones, The Nation & Salon.com. "The Big Thaw did several things that were nearly impossible. breathtaking rate of change, I still find myself referring back to it..."
"If you care about the future of media, read every page." or bemoaning the economic trajectory of traditional journalism. It confronts the realities of a new paradigm in media. We tell our students that they will shape the future of media. They will. And studies like The Big Thaw help light the path." 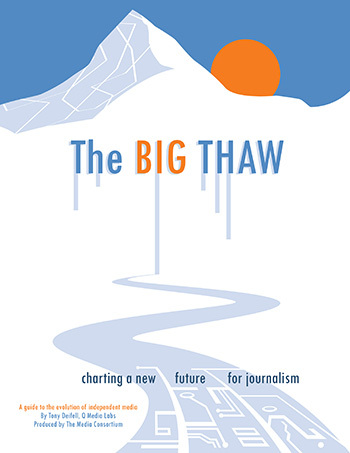 "The Big Thaw maps how we can truly bring innovation to journalism. Journalism Fellows from Finland, Mexico, Pakistan, Slovenia & Sweden." media to survive, thrive & recreate themselves for the future." ...a rich repository of observations, anecdotes and predictions"